We are pleased to inform you that His Highness Sheikh Khalifa bin Zayed Al Nahyan, the President of the United Arab Emirates, has issued Federal Law No. 6 of 2018, which formally promulgates a new arbitration law for the UAE and repeals the previous provisions contained within the Arbitration Chapter of the UAE Civil Procedures Law No. 11 of 1992. The new law will enter into effect one month following the day of its publication and will apply to all arbitral proceedings that are ongoing at the time the law comes into effect. The much-awaited self-standing arbitration law of 61 articles, which is based on the UNCITRAL Model Law, will significantly revamp UAE arbitration law. 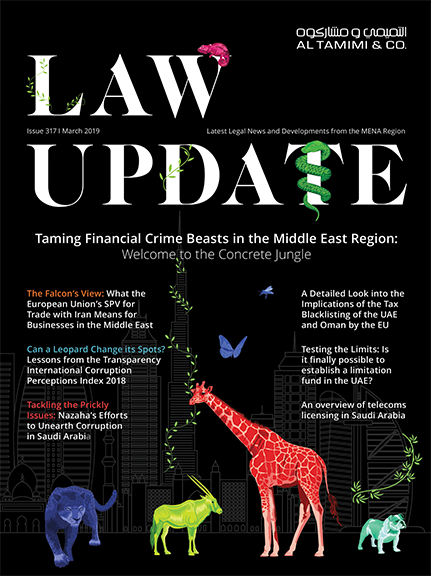 The new law is expected to build the UAE’s reputation as a preferred seat for international arbitration in the region, since it is aligned with international best practice and standards. The UAE’s legal community welcomes this positive development and looks forward to a new chapter in arbitration in the UAE. An unofficial English translation of the law can also be found here. Al Tamimi & Company will be rolling out a series of client seminars to introduce clients to the new law and discuss its impact on their business. Al Tamimi & Company has a dedicated arbitration team and advises on international commercial and investment arbitration. For further information, please contact Essam Al Tamimi (e.tamimi@tamimi.com), Dr. Hassan Arab (h.arab@tamimi.com), or Thomas Snider (t.snider@tamimi.com).